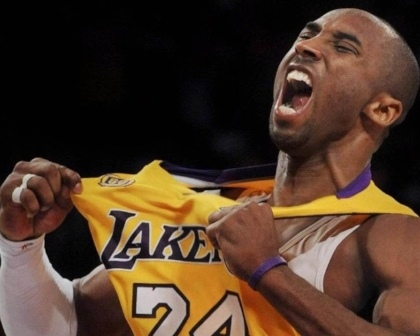 Kobe "Bean" Bryant celebrates his 39th birthday today. Kobe was drafted out of high school in the 1996 NBA draft in the 1st Round by the Charlotte Hornets and was traded to the Los Angeles Lakers for Vlade Divac. Kobe went on to play his entire 20 year career with the Lakers winning 5 NBA Championships, 2 Finals MVPs, and 1 NBA MVP as well as several other accolades. Kobe hold just about every Laker franchise record and is arguly the greatest player in NBA history. He and his wife Vanessa have been married for 16 years and have 3 beautiful daughters.